YOUR MISSION SHOULD YOU ACCEPT IT BILLY IS TO STEAL KIM'S BUTTON, WILL YOU DO IT? 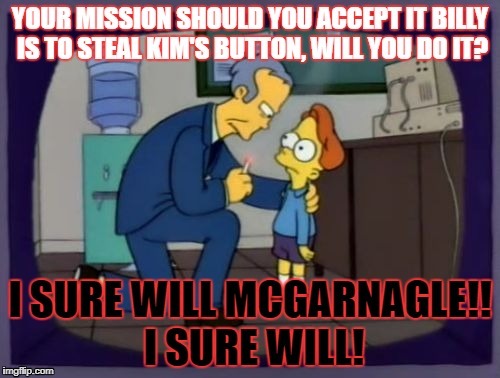 I SURE WILL MCGARNAGLE!! I SURE WILL!